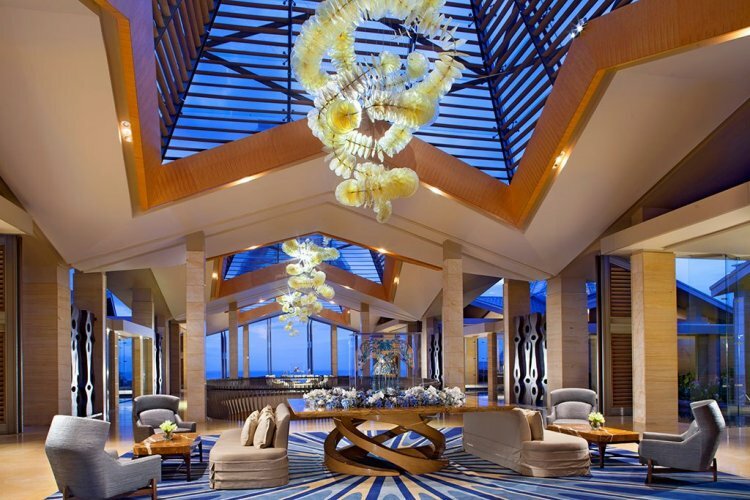 Named 2013 Condé Nast 'Best New Hotel in the World', The Mulia is a luxury all suite resort located by the seaside. 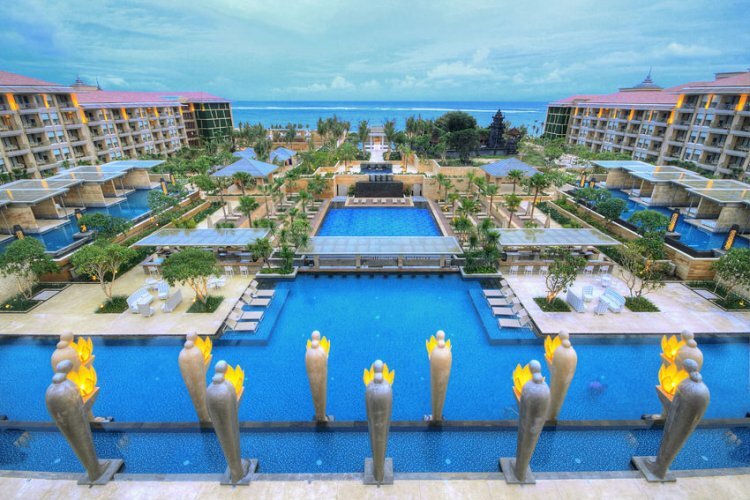 It is also situated nearby to other hotspots such as Nusa Dua Beach, Mengiat Beach and Puja Mandala. 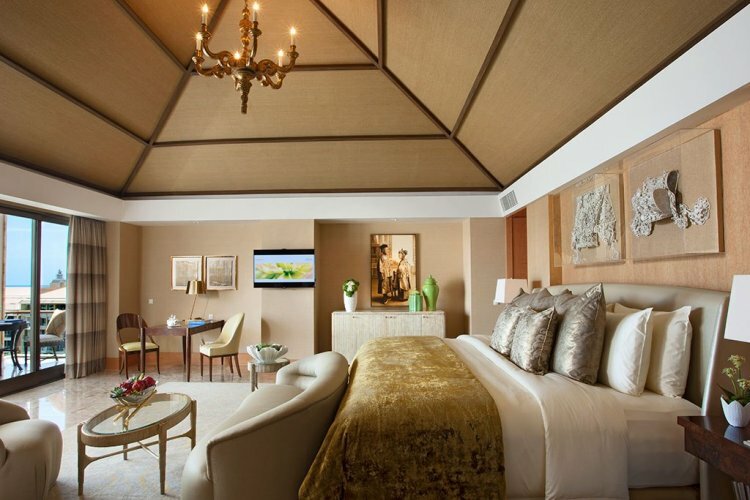 There are 526 rooms at The Mulia, divided into The Marquess Suite, The Earl Suite and The Baron Suite. 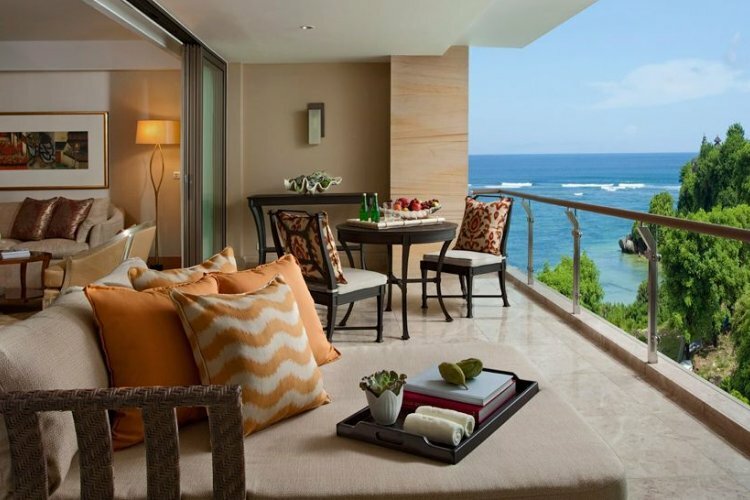 Each room is decorated with a blend of exotic Balinese inspired furnishings with a contemporary feel. Amenities include walk in rainfall showers and impressive views of the sea or gardens. 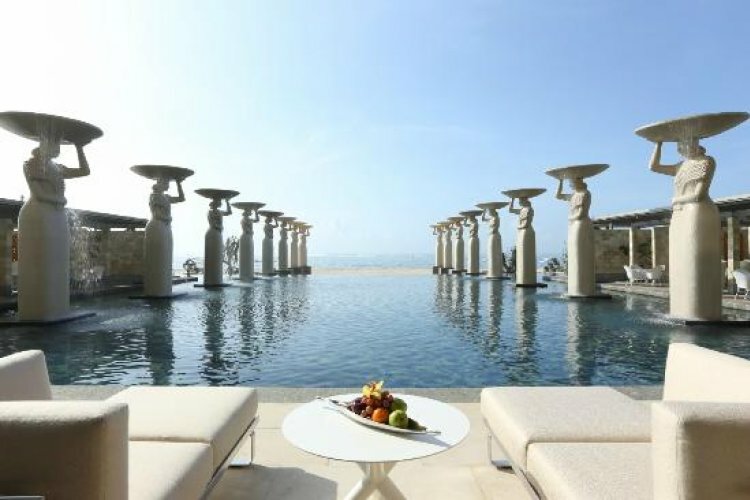 The Mulia is a beautiful and scenic hotel spread over 15 acres of lush gardens, custom artwork and beautiful statues are placed throughout the hotel. There are also 9 lagoon pools which gradually lead you to the ocean. Enjoy a range of activities at The Mulia which includes yoga, water aerobics, use of 3 swimming pools and a fitness centre. For a spot of relaxation and pampering the Mulia Spa offers steam rooms, saunas, hydrotherapy pools and an ice room. 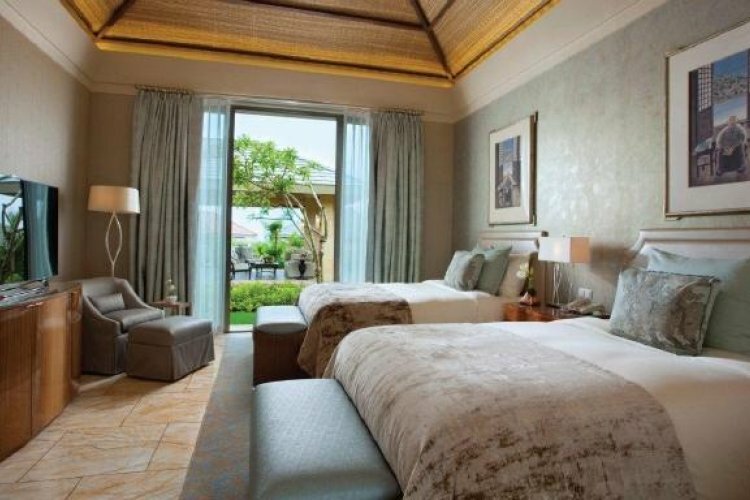 Guests can also have Balinese massages and other indulging spa treatments. The Mulia features 4 restaurants serving a delectable variety of cuisine from Indonesian, Mediterranean, Japanese and International to choose from. There are also 4 bars and a nightclub to enjoy some evening entertainment.